Choosing a health care plan often comes down to cost, but don't forget to compare the monthly premium with the amount of coverage you get. Major medical insurance is designed to cover you during everything from routine check-ups to major catastrophic events. Basic health insurance, by contrast, is a cash reimbursement service that can help you pay for some—but not all—types of medical services. According to Markel Insurance Company, basic plans offer less coverage for lower premiums than major medical insurance. Ideally, the basic plan functions as a supplement to traditional medical insurance; however, sometimes these basic plans are all people can afford. Subscribers pay a low premium for coverage and receive set amounts of cash to reimburse them for events including doctor visits, lab tests and surgery. The reimbursement amounts will almost always be lower than the total cost of services provided. It's easier to be approved for basic health insurance than major medical insurance. According to insurance broker MedSave, there aren't any co-payments, co-insurance amounts, deductibles or "network" doctors. You can see any doctor in the U.S. at any time you want, without approvals or referrals. You won't be asked about any pre-existing medical conditions on your application. However, both Markel Insurance Company and MedSave specify that treatments for pre-existing conditions will only be reimbursed after a six-month waiting period. Major medical insurance offers more coverage for a higher premium. This type of insurance includes familiar programs like HMOs, PPOs and fee-for-service programs. 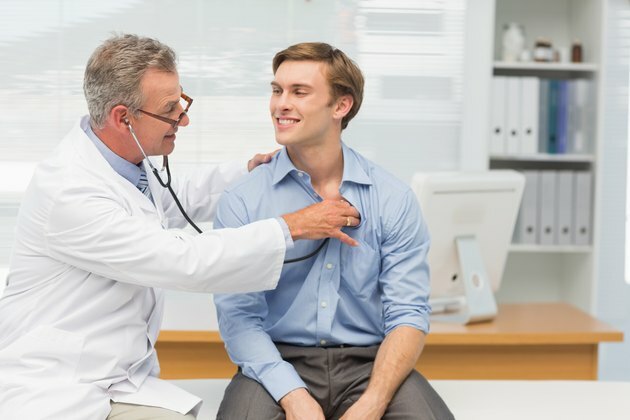 According to the State of Tennessee Department of Commerce and Insurance, major medical insurance covers doctor visits, hospital visits and care performed on an outpatient basis. Instead of a cash reimbursement basis, the system functions with payment thresholds called deductibles—the amount a consumer needs to pay before the insurance company will provide benefits. Some routine maintenance may be free or nominally priced with a small co-pay. Major medical insurance covers more than doctor visits and surgical procedures. Most plans cover some or all of your prescription drug costs as well as services related to health care like rehab, physical therapy, mental health and nursing home care. Unlike basic health insurance, which provides you with a set amount of cash no matter what the final cost of your procedure may be, most major medical insurance plans offer an annual out-of-pocket spending limit that caps your expenses, even if you need very expensive treatment. Basic health insurance is not available in every state. According to Markel Medical Insurance, each state's insurance department must approve this type of insurance before it can be sold to the general public. As of 2010, only 25 states allow providers to sell this type of insurance to individuals and families. More states allow businesses to offer basic health insurance as a supplement to major medical insurance—for businesses with more than 50 employees, this insurance is available in 34 states.